After months of strong popularity, Proposition 2 has lost ground among Utah voters and is polling barely above the crucial 50 percent mark just weeks ahead of Election Day, a new poll shows. 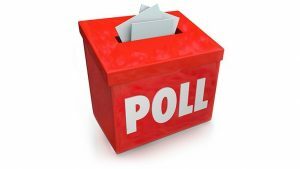 A Salt Lake Tribune-Hinckley Institute of Politics poll indicates that support for the medical marijuana initiative has waned by about 15 percentage points since June and that only 3 percent of voters remain indecisive about the measure. A big erosion of support among active members of The Church of Jesus Christ of Latter-day Saints stands out in the survey. The reported drop comes on the heels of a major shift in the debate around Prop 2. Amid the recent round of polling, state leaders and advocates announced they’d agreed on a medical cannabis planthat lawmakers would consider in a November special session. Jason Perry, the Hinckley Institute’s director, said this deal likely contributed to the weakened support for Prop 2. While medical marijuana as a concept exerts wide appeal, the specifics of the initiative had alienated some people, he noted. Not all proponents of medical marijuana expansion are convinced the Legislature will follow through and enact a program that meets the needs of Utah patients. Jeffrey Cedeno, a poll participant who supports Prop 2, said it brings him little comfort to hear that lawmakers will meet next month to review a medical cannabis bill. The Legislature has spent years debating the issue, he noted, and has repeatedly batted down medical marijuana measures. “I like to consider myself a pretty middle-of-the-road guy. I am fundamentally frustrated with the Legislature’s continued ignorance around this issue,” said Cedeno, an unaffiliated voter who lives near Park City. About 51 percent of those surveyed indicated some level of support for the initiative — 35 percent were strongly in favor and 16 percent were somewhat in favor. Of the 46 percent in opposition, 31 percent said they were strongly against the measure and 15 percent said they were somewhat against it. Only 3 percent said they were undecided. DJ Schanz of the Utah Patients Coalition, which led the ballot initiative, said he remains confident voters will “overwhelmingly support Prop 2,” despite the new poll numbers. Even if the ballot measure fails, he said, the Legislature is poised to deliver a medical marijuana program for the state. Schanz blames the initiative’s opponents, not the recent compromise, for the drop in support. Michelle McOmber, CEO of the Utah Medical Association, which has opposed Prop 2, agreed with Perry that the compromise is probably a factor in the poll results and hypothesized that increased voter awareness might be another contributor. The recent survey was conducted among 822 registered voters and had a margin of error of plus or minus 3.4 percentage points. The initial polling took place from Oct. 3 to 9 and a second round was taken Oct. 11 and 12 to broaden the sample size. Enthusiasm for the ballot measure was at its height last year and in January, when a Tribune poll found that about 76 percent of voters favored the initiative. The support had declined to about 66 percent by June, after the emergence of an opposition campaign, but seemed to be holding fairly steady — even when the LDS Church joined a coalition against the proposition. A Deseret News poll conducted from Sept. 30 to Oct. 7 found that 64 percent of likely voters backed the initiative. However, the Tribune-Hinckley poll showed the initiative’s popularity has fallen sharply among individuals who identified themselves as “very active” Latter-day Saints; support plummeted from 54 percent in June to 28 percent in the October poll. Still, most people said the church’s opposition to Prop 2 wasn’t a factor in their decision-making. Even among active members, 55 percent said the church’s position made no difference. Janeen Detrick, a Latter-day Saint who took the poll, attributed her strong support for the initiative to her libertarian ideology. “I believe in freedom to choose,” Detrick, of Helper, said. She added that in her Carbon County community, which has been ravaged by the opioid epidemic, there is a strong sentiment against criminalizing people for their addictions. Prop 2 would allow licensed dispensaries to distribute medical marijuana to doctor-recommended patients suffering from qualifying illnesses. The list of ailments includes Alzheimer’s disease, cancer, multiple sclerosis, post-traumatic stress disorder, chronic pain and autism. Opponents worry the measure would send the state on the path toward legalized recreational cannabis and does not include sufficient safeguards to prevent abuse and black-market activity. With the legislation prepared for next month’s special session, patients could access medical marijuana via a state-run distribution system or at a handful of specialized “cannabis pharmacies.” The bill also tightens restrictions on the permissible varieties of medical marijuana and the qualifying conditions.